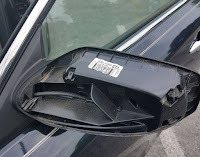 At first, I thought only the mirror was gone, and I figured it wouldn’t take too much money to replace it, and I was more incredulous than mad. When Ole Boy mention the cap (back cover) was gone as well, I felt my irritation level rising. I have a very limited range of motion in my neck, and mirrors are very important, especially on the interstate. Duct tape...don't leave home without it. We found a generic mirror at O’Reilly Auto Parts…the lady in the store was very nice and helpful, and very appreciated for helping us get it rigged up. We headed to Wal*Mart for duct tape reinforcement, because as we all know, duct tape fixes everything. While in Wal*Mart, I realized I’d left my very favorite pillow at the motel. Seriously, I shed a tear. But I refused to go back; in retrospect, that was rather stupid, but I had a growing disgust of the whole situation and did not want to backtrack. Instead, we bought two new pillows. I really regret not going back for it. I decided to get some potato chips because, as we all know, junk food cures disgust. It really doesn’t, but any excuse works. As I perused the 98 different chip varieties, I told myself I would not let this ruin the whole day. 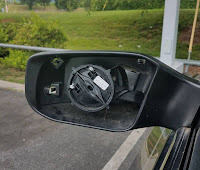 I made up my mind to be grateful for all that I did have, and thankful that the thief only took my mirror, and (hopefully) didn’t damage anything else. I said to myself and to God, “I’m going to be nice about this.” I prayed for the person who took my mirror. For good measure, I smiled at the lady who nearly plowed into my buggy (shopping cart for those outside the south). I was letting my good attitude show! I went to check out. And that was about the time my good attitude checked out, too. Ole Boy was out of my sight by the time I moseyed toward the exit. A Wal*Mart employee popped out of nowhere and asked for my receipt for the pillows. I tried to move ahead a little so I could see where Ole Boy was, but she didn’t like that, so she then demanded a receipt. The receipt was walking out the door! I completely forgot I was supposed to be nice. I called out for Roger (I didn’t yell, I still had control of the little bit of class I possess, but had he not heard me, I am not sure what exactly would have happened to my self-proclaimed class.) Anyway. She really did act like we were trying to pull one over on her (two receipts with a total five items on them, which she scrutinized like they were fake), then she snapped “Have a nice day.” I retorted, “It’s a little late for that!” As I was leaving the store, I said, “Chattanooga steals from me, and accuses me of stealing.” It could have been my mood, perhaps it was her attitude, but by the time I got to the car, I was angry, and I didn’t have anything nice at all to say, and the focus of my anger was a certain Wal*Mart employee. Because, you know, she was doing her job, albeit a little rudely, but maybe she didn’t like my reaction to her original request? When I got home and got on my computer, I had an error message…I’ll spare you the history on computer issues which involves a crash and complete loss of everything… and I took out my day’s worth of frustration on Dell. It wasn’t pretty. 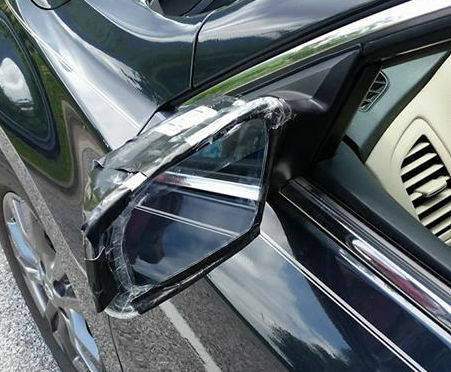 And it was just a side view mirror. One might have thought they took the whole door. When I got in bed last night, I had a lot of repenting to do. You probably handled the day better than I could have. Lately, stress and frustration has seemed to creep in more. Having a day like you had would probably make me postal,... Here's to a better day today!! Well. First, before I forget, did you happen to tell the motel about the theft in THEIR parking lot? They may have insurance for that. Moving on. Margaret, I understand exactly how you fell, I do. Been there so often myself and with MUCH less reason than you had--and I do not want to diminish you felt remorse or disappointment/annoyance with yourself at all--but, seriously, that could have gone much worse. Much. 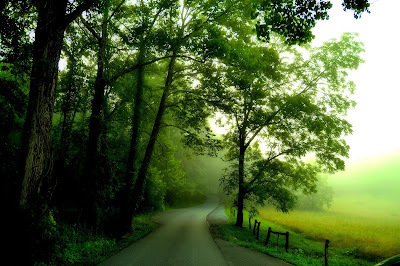 There was no fists on your hips shouting at the demanding and suspicious worker, nothing was thrown; you didn't "accidentally" run over her foot with your buggy when she didn't like you moving it(It's buggy here, too, in the Appalachian foothills. ); You didn't demand to speak with the manager in a "I'm going to make you pay for this, missy" tone of voice. Uh-hmm. I could go on. I'll not tell you how all of these examples of frustration & poor impulse control come to my mind, but trust me when I say that I'm aware of how thigs can go. So. I'd be upset with myself, too. AND you did better than you're giving yourself credit for under the circumstances. God appreciates your repentance and regret--and He knows how sincerely you wanted it to be different...and He knows that it was only your desire to please Him that kept it from getting way worse. And that blessed your Father. Ah lot. I may not have been extremely rude to anyone's face, but God knew my angry heart and Ole Boy knew my angry words. I think sometimes God allows days like this to perhaps remind us we are still a work in progress and still need some of our rough edges smoothed out a bit by his saving grace. You repented, he forgave, you move on with perhaps a better understanding should you have another day like this in the future to perhaps extend mercy and compassion sooner than later. Why anyone would want a mirror, I have no idea. Seems like it would be such a hassle to remove it? Surveillance cameras at the hotel?